This is end-of-the-month cooking, that's for sure. Last week, on my facebook page, I mentioned planting radish seeds with the intent of using the leaves for cooking. Radishes come up quickly, and yield nutrient-dense leafy greens about as fast as any other vegetable. And they can do so in the cool early spring weather, right when I have little else in the garden to harvest for vegetables. Well, eating radish greens came as a surprise to one reader. So, I thought I'd show you a simple way to use radish greens. Radish greens have a sharp taste, like mustard greens, turnip greens, or kale. So I like them best, blended with a milder vegetable, like cabbage, and sometimes onions. Start with a skillet with about a tablespoon of fat. 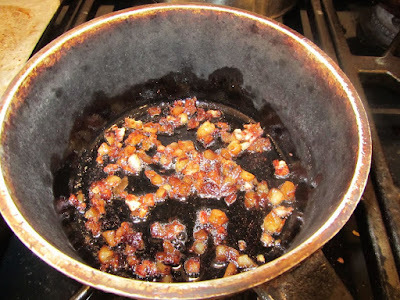 Obviously, for me, bacon fat or ham fat is preferred, but oil, and/or turkey fat or chicken fat also have been used successfully in my kitchen (I did this batch in turkey fat/vegetable oil blend, simply because I'm trying to use up the turkey fat). Heat the skillet over Medium. Saute about 1/4 of an onion, sliced thin, until translucent (the onion is optional, in this batch I left it out, but it does add a sweetness to the dish). 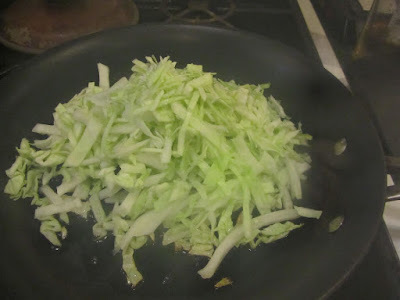 Add about 2-3 cups shredded cabbage (this is a great way to use the outer layers on a new head of cabbage -- trim away any damaged parts, and thin-slice the rest). Saute until some leaves are beginning to brown on the edges. 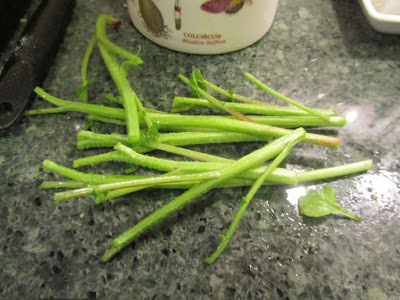 Meanwhile, cut the leafy green portion of the radish leaves (from about 8-10 radishes) away from the tough stalks. Fine chop the radish leaves (compost the stems -- don't even save them for your soup stock pot, would give a bitter taste to stock, yuk!). 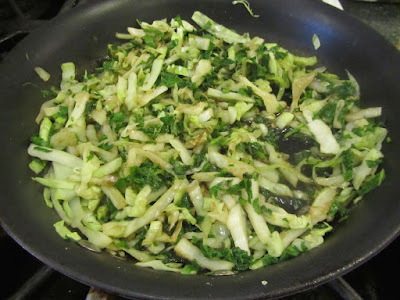 Add to the cabbage/onions, and stir in. Add some garlic (1 clove, or 1/2 teaspoon garlic granules), and 1 tablespoon soy sauce. Saute, just until the radish greens look vibrant green, but barely cooked. Serve. 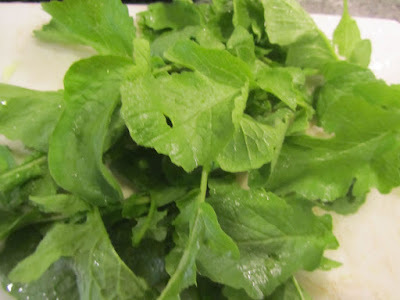 Radish greens can also be added to broth-based soups, cream 'O green soups, quiche fillings and garden lasagna fillings (mixed with the cottage cheese/ricotta/mashed tofu). Very basic, end of the month cooking this week in our kitchen! When you cut the tops off, do you leave enough for them to continue to grow and develop the radishes? I've have never cooked radish greens but my son roasted radishes when he did some "end of the month' cooking of his own. He found a great deal on radishes and had a couple of pounds to use up. I tried them myself and they weren't too bad. I pull the whole radish out of the garden. I can use the root portion in a salad, and the greens in cooking. Cooking the greens is especially good use of the radish plants that didn't develop much in the way of roots. I've never tried roasted radishes. Sounds yummy! I totally agree, greenpioneerwoman! Very delicious in quiche. I've never tried nettle before. I'm not sure I would know what it was. It grows in the wild, right? I don't know if we have that in our area. Thank you, greenpioneerwoman for the link. I will check that out! I'm feeling end of the month cooking also. We had some grilled pork steak on Tuesday but the grill must be at the end of the tank since it took a while to heat up and then it seemed to push the gas through full throttle so we had burned pork chops (even on the low setting). We did eat it but had enough leftover last night that I cut them in small pieces and sauteed those in bacon fat then added some wilted onions, red and orange peppers, cumin, sazon Goya and cooked it altogether. I later added come cilantro that was starting to slime but after cleaning through it I had enough to add to the meat skillet and then made white rice with lemon and cilantro. I then found some frozen tortillas and we had copycat Qdoba! It was so good and all three kids and hubby said it was the best ever! I smiled when I read in your comment how your family all thought diner was the best ever! I love it when I just throw something together, using up this and that, and everyone thinks it's great. We pickle our radish tops, but I think stir fry is a very good idea, especially when paired with onions and cabbage. By itself, it is rather harsh to eat. Reminds me of collard greens, I have the most difficult time using canned collard greens. Out of the can, it is not very appetizing. pickled radish leaves. That sounds very interesting. I'll look into recipes. You're right, radish leaves are sharp tasting, and do best blended with other foods, or other (milder) veggies, like cabbage. I've never eaten canned collards, but I occasionally buy frozen collard greens, and I actually do enjoy them, cooked very lightly in a little bacon fat. 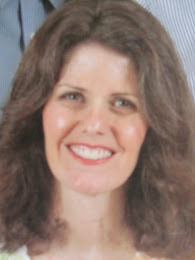 When I was pregnant with my twins, I had to pack in the nutrition every day, and became used to the flavor of collards, kale and mustard greens. But canned, I'm not sure I would care much for those. I remember eating canned spinach as a child, and didn't really care for it (slimy, ugh!). 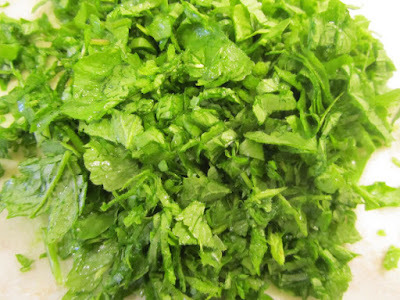 The radish (and radish leaves) we use is called "daikon". Again, the tops are not used, but I add the tops with the radish in recipes even though it is understood you throw them away. Most of the time, daikon is sold without the top, but sometimes at farmer's markets the vegetable is sold whole. This is one vegetable I will not attempt to grow myself, since my mother often recounted how deep they had to dig the soil to plant this. I've never seen daikon with greens still attached. I'll look for the next time I'm at the farmer's market. Thanks for the link. The salad sounds delicious.